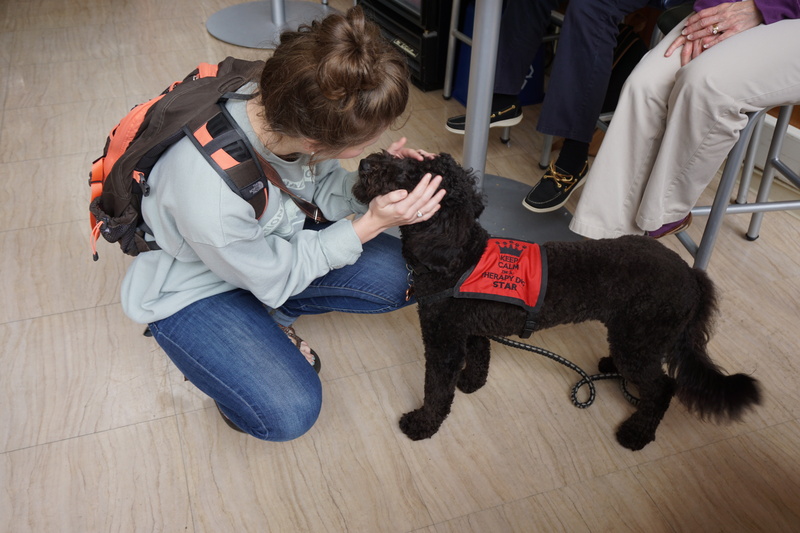 Star, the sweet therapy dog from WKU’s Counseling & Testing Center, ventured over to Helm Library the Thursday before finals week to meet and greet students in Java City. 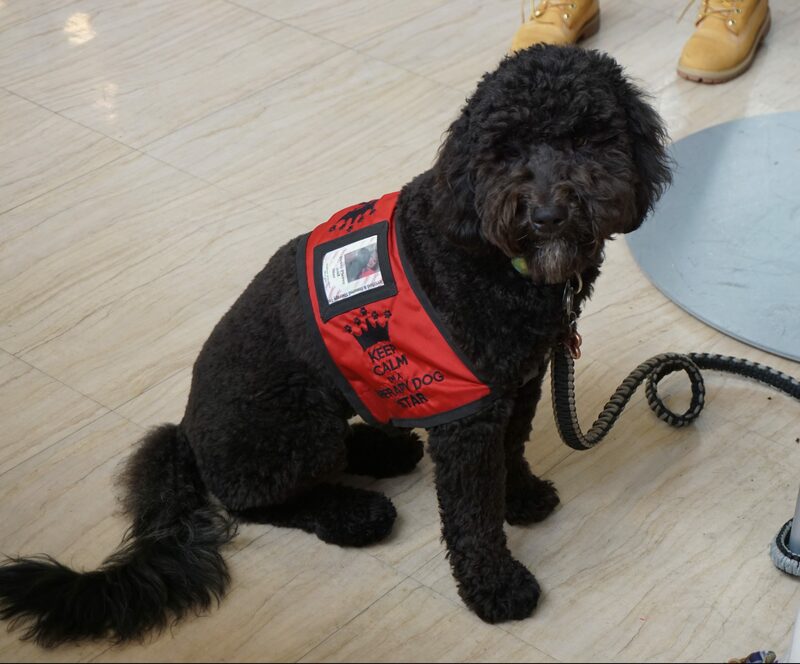 The eight-month-old Aussiedoodle turned out to be popular with students coming and going through the Helm Library entrance. “This is just what I needed today,” said Maddie Hughes, WKU piano major from Georgetown, Kentucky. 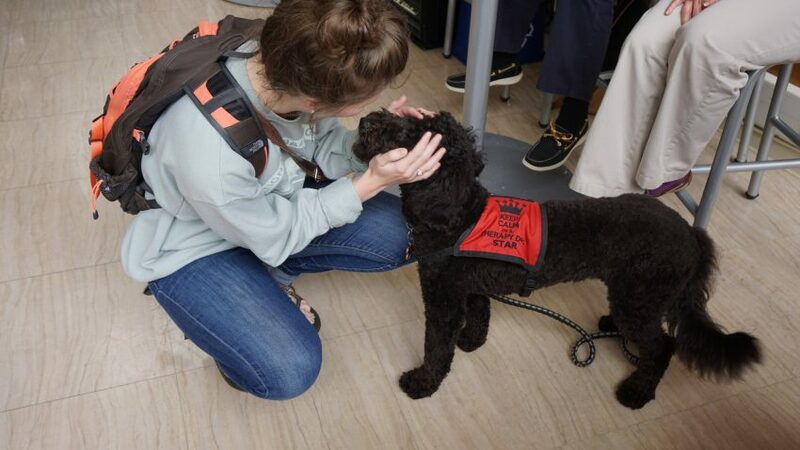 Star’s mild temperament and soft coat was just the ticket for all the stressed out students running in to study or for a quick snack at Java City between final classes for the semester.